PARACHUTIST’s March edition highlights Jump for the Rose for a record breaking $70,000 donation. Since 2010, JFTR has donated over $230,000 to The Rose. Those interested in hosting an event at their favorite drop zone should contact Marian Sparks at Marian@jumpfortherose.org. Click here to read the entire article. Marian, founder of Jump for The Rose, will travel to Austin, Texas along with advocates of The Rose during early March in support of Cancer Prevention and Research Institute in Texas (CPRIT). Texas state legislature must authorize a fully funded CPRIT extension for the next 10 years. Texas voters must, then approve, the authorization. Keep the conversation going by tagging your state representative online or sending her/him an email. Visit Jump for The Rose on facebook to spread the word with your cyber friends! Here is a story on lobbing efforts from KXAN. 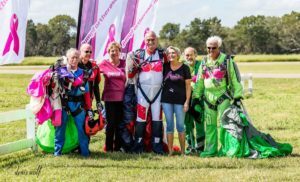 Jump For The Rose is pleased and proud to congratulate our long time friend, supporter, and skydiving organizer, Chuck Akers! Chuck was elected to earlier this month as President of the United States Parachute Association! 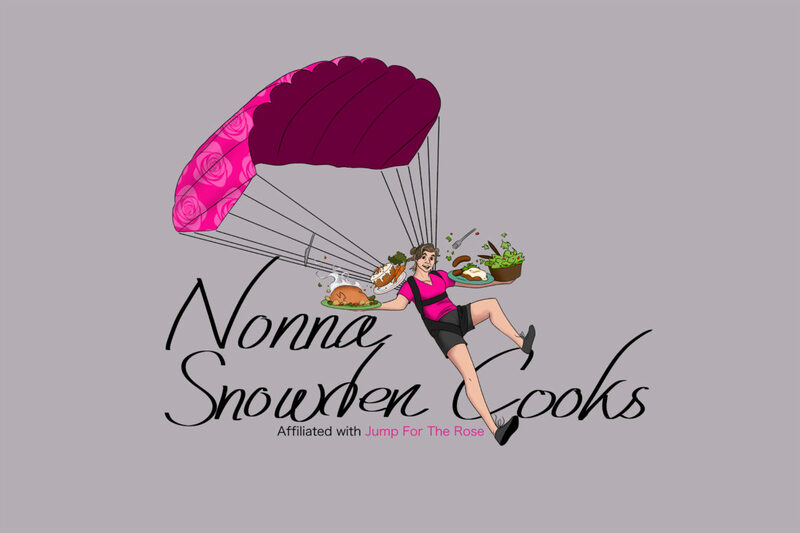 Chuck has been skydiving for over 30 years and was the United States Parachute Association Gulf Coast Regional Director, prior to the February election. Jump For The Rose is very proud to be associated with Chuck and extends our heart felt congratulations! Congratulations Chuck!! 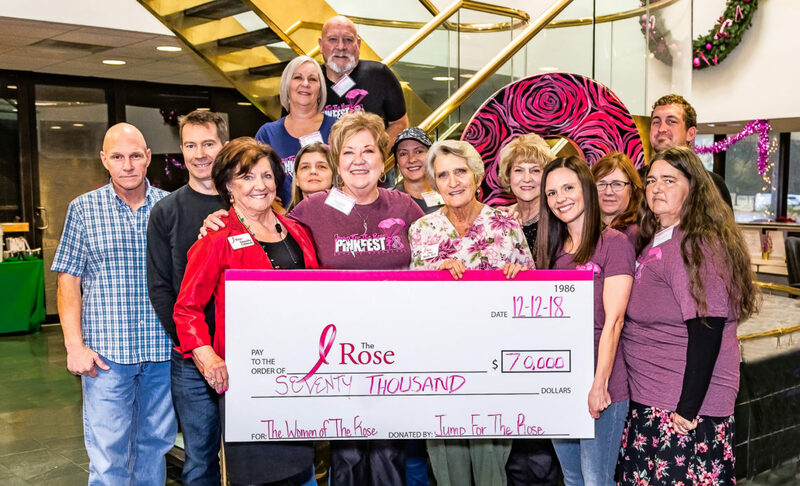 Our 2018 donation to The Rose, a non-profit breast cancer organization. The biggest ever! Our total since 2012 is over $230k!! Thanks to all who helped and there were a lot of you! !